Fred McGriff is a former Major League Baseball player who starred for several teams from the mid-1980s until the early 2000s. Although he never hit more than 37 homers in a single season, he finished his career only seven homers away from joining the exclusive 500 home run club. McGriff was a prospect in the New York Yankees minor league system in the early 1980s. 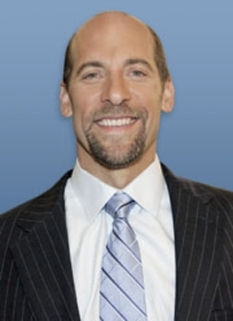 He was drafted by the Yankees in the 9th round of the 1981 amateur draft and signed June 11, 1981. In 1982, the Yankees, in one of their famous shortsighted moves of the decade, dealt McGriff, along with Dave Collins and Mike Morgan to the Toronto Blue Jays for Dale Murray and Tom Dodd. McGriff reached the majors full-time in 1987 and slugged 34 home runs the next year, his first of seven consecutive seasons with over thirty homers. McGriff emerged as the top power hitter in the American League in 1989 as he belted 36 home runs. His power numbers remained steady in 1990as McGriff batted .300 and established himself as a consistent producer. On December 5, 1990, McGriff was traded to the San Diego Padres with Tony Fernández in exchange for Roberto Alomar and Joe Carter - two players who would be integral in Toronto's back-to-back World Series titles in the early 1990s. He continued to flourish in the National League, hitting .278/.396/.474 for San Diego in 1991. He led the NL in home runs in 1992, three years after he had accomplished the same feat in the AL. On July 18, 1993, the Padres, seeking to unload their high-priced veterans, dealt McGriff to the Atlanta Braves. 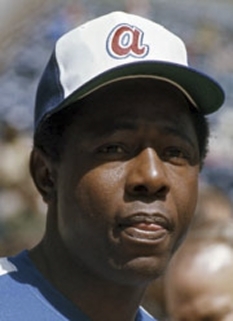 McGriff hit a pivotal home run in his first game with the Braves and his offensive tear during the second half of the season helped carry the team to a division title, with a record of 51-19 after his arrival. He finished with a career high 37 homers and fourth place in the NL MVP voting. McGriff was batting .318 and already had 34 home runs when the strike ended play in August 1994. It would have been a career-year for McGriff. McGriff's production remained steady in 1995 as he continued to be a successful cleanup hitter for the Braves. 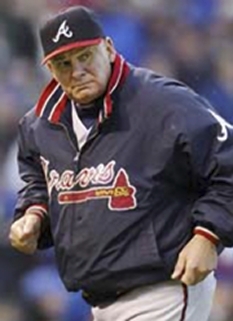 He hit two home runs in the 1995 World Series as he won his only championship ring. The quiet star hit .295/.365/494 with a career-best 107 RBIs on his way to another World Series appearance in 1996. With only 22 home runs in 1997, McGriff appeared to be in decline. The team allowed him to be picked up by the expansion Tampa Bay Devil Rays after the season. It looked like McGriff would be allowed to finish out his career in his hometown of Tampa. He batted .278, but with only 19 home runs. However, McGriff's career experienced a minor renaissance in 1999 when he hit a career-high .310 with 32 home runs. The season rejuvenated McGriff's career and gave hope of him reaching the coveted 500 home run mark. After another solid season in 2000, McGriff got off to a good start in 2001. He was heavily pursued by the contending Chicago Cubs around the trade deadline, and the soft-spoken McGriff waived his no-trade clause to allow himself to be dealt to Chicago on July 27, 2001. He hit a respectable .282 with 12 homers in 49 games with the Cubs, but the team did not reach the postseason. McGriff had 30 home runs during a strong 2002 campaign, which earned him a one-year contract with the Los Angeles Dodgers for the 2003 season. During spring training in 2004, the Devil Rays re-signed McGriff in hopes of letting the veteran ballplayer hit 500 home runs. Unfortunately, he ended up with a .181 average and had hit just two home runs in his sporadic play from the end of May until mid-July. The Devil Rays released McGriff on July 28, 2004, seven home runs shy of 500. 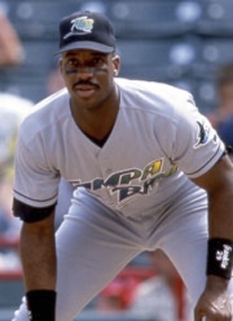 While McGriff hoped to catch on with another team after being released by the Devil Rays, McGriff officially declared his retirement during spring training of 2005 when he received no calls from any teams requesting his services. He retired with 493 home runs, tied with baseball legend Lou Gehrig, and became eligible for the Hall of Fame in 2010. He received 21.5% of the vote in his first year of eligibility. In 2011, McGriff received 104 votes (17.9 percent of total votes cast) for induction. McGriff ended his career having 10 seasons with at least 30 home runs, and McGriff remains to this date in an exclusive club of 2 within Major League Baseball, as he and Gary Sheffield are the only players in the history of the league to have 30 home runs in one season for 5 different teams (Toronto ; San Diego ; Atlanta ; Tampa Bay ; Chicago Cubs ). McGriff has appeared in commercials for Tom Emanski Baseball Training videos on ESPN since 1991, which are still aired to this day on the network (one of television's longest running commercials ever). In the ad, McGriff deadpans the merits of the videos while wearing a "Baseball World" mesh cap perched high atop his head. Because of the frequency and longevity of the Emanski commercials. 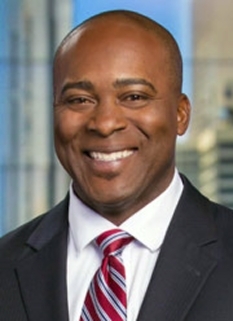 Currently, McGriff hosts a radio show in Tampa and is an assistant baseball coach at Jesuit High School of Tampa. DISCLAIMER: PFP Sports Talent Agency does not claim to represent itself as the exclusive agent for Fred McGriff. PFP Sports Talent Agency is a booking agency that represents organizations seeking to hire pro athletes and sports personalities such as Fred McGriff for speaking engagements, personal appearances, product endorsements and corporate entertainment. Fees on this website are estimates and are intended only as a guideline. Exact fees are determined by a number of factors, including the location of event, the talent’s schedule, requested duties and supply and demand. PFP Sports Talent Agency makes no guarantees to the accuracy of information found on this website and does not warrant that any information or representations contained on this website will be accurate or free from errors. We are often asked how can I find out who is Fred McGriff's agent? To find Fred McGriff appearance fees and booking agent details, you can contact the agent, representative or manager through PFP Sports Talent Agency for speaking fee costs and availability. PFP Sports Talent Agency can help your company choose the ideal sports personality for your next marketing campaign. To hire Fred McGriff for an appearance, speaking event or endorsement, contact Fred McGriff's booking agent for more information.